US president Donald Trump has said Syrian president Bashar Assad has committed "unspeakable crimes" bolstered by Iran. Mr Trump called upon countries around the world to work together to end the humanitarian crisis in Syria. He denounced Iranian aggression in the region in an address to Muslim leaders in Saudi Arabia, and said the "longest-suffering victims" are the Iranian people. He said they have "endured hardship and despair under their leaders' reckless pursuit of conflict and terror." Earlier, Mr Trump said every nation must shoulder the burden of rooting out terrorism from their countries. He told the leaders of Muslim-majority countries in Riyadh: "Every nation has an absolute duty to ensure that terrorists find no quarter on their soil." 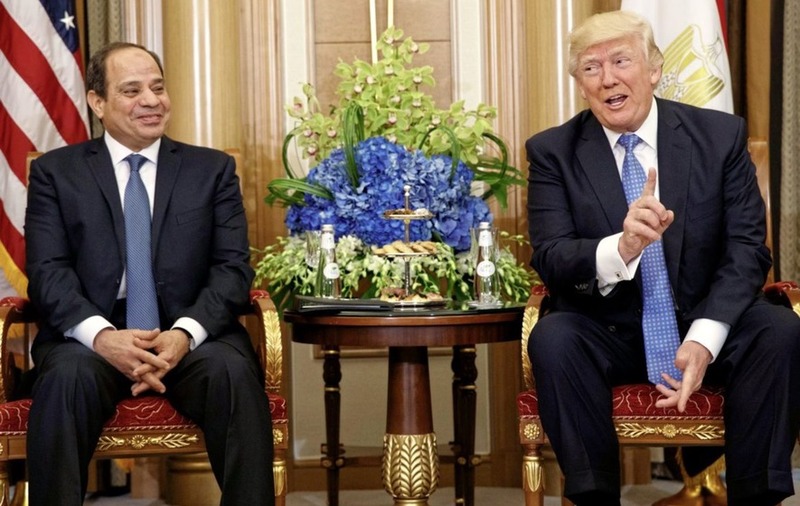 Mr Trump said terrorist groups "do nothing to inspire but kill" and all countries must work together to "honestly" confront "the crisis of Islamic extremists and the Islamists and Islamic terror of all kinds." He stopped short of referencing "radical Islamic terrorism" - a term he uses frequently in the US and which he condemned former president Barack Obama for failing to say. Mr Trump used his first major foreign policy address as president to say the fight against terrorism "is not a battle between different faiths, different sects, or different civilizations. "This is a battle between those who seek to obliterate human life and those who seek to protect it." He said: "Terrorists don't worship God. They worship death," adding that the US is prepared to stand with those leaders he was addressing in the fight against extremists, but that those countries must take the lead. 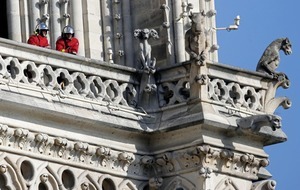 He urged them to drive extremists "out of your places of worship. Drive them out of your community. Drive them out of your holy land." He told the Arab-Islamic American Summit in Riyadh that "95% of the victims of terrorist attacks are themselves Muslims." He said, in a departure from the sometimes anti-Muslim rhetoric of his presidential campaign, that terrorism must not only be measured by the number of dead, but the number of "vanished dreams." The US sought a coalition of nations in the Middle East with the aim of "stamping out extremism." 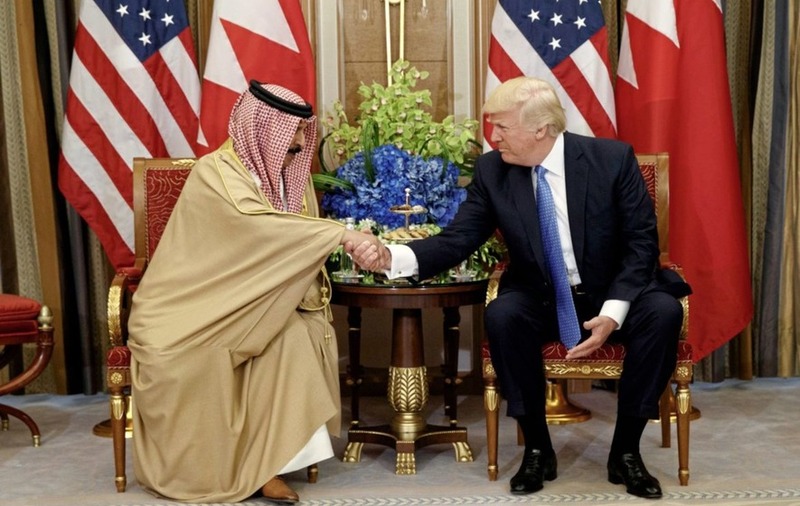 In his address to the Arab-Islamic American Summit in Riyadh, Mr Trump vowed to "strengthen America's oldest friendships, and to seek new partners in pursuit of peace." He promised "that America will not seek to impose our way of life on others, but to outstretch our hands in the spirit cooperation and trust." 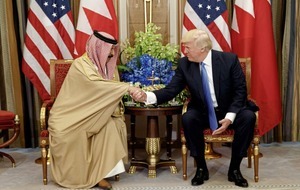 King Salman of Saudi Arabia said he was committed to stamping out Islamic State and other terrorist organisations, and called Iran "the spearhead of global terrorism."